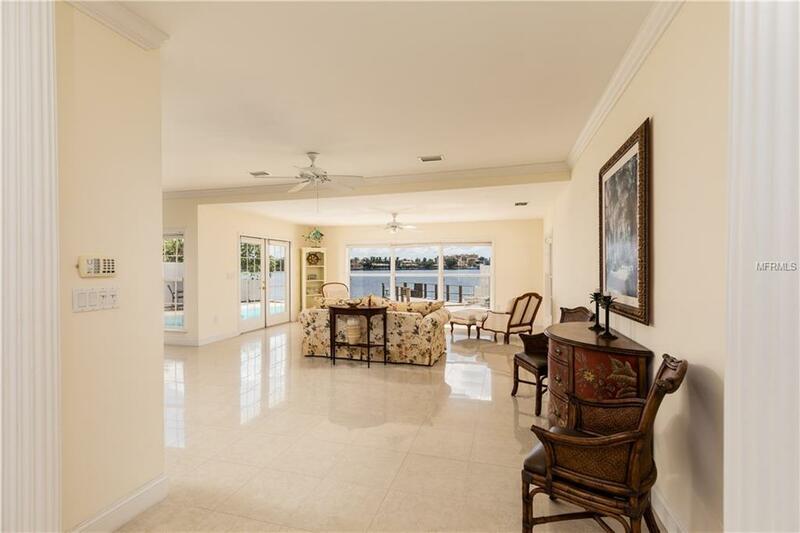 A must see two story waterfront home in beautiful Bahia Shores Subdivision. With over 3000 square feet youll love the 4 bedroom and 4 bathroom featuring on suite baths. Elegantly decorated with large windows throughout giving you panoramic views of the Boca Ciega Bay. Located in the heart of St Pete Beach with a short walk to the beach or local restaurants. Take a dip in your pool while watching the sunset over looking the water. Lounge on you deck and watch the dolphins play. New vinyl fencing surrounds your property. A large side driveway with plenty of room for boat storage. New dock installed with composite decking. New A/C installed with a 10 year warranty. Dont let this one get away.